For those looking to relive the 90s, there’s no better news than a 30th anniversary performance possibly in the works of the debut album by Halifax power-pop quartet Sloan. “Four nights at the Foufounes!” bassist Chris Murphy told the crowd, before adding that he hopes to assemble the other acts that played their first Montreal show. Murphy was joking, of course, because Sloan is nowhere close to being a nostalgia act. 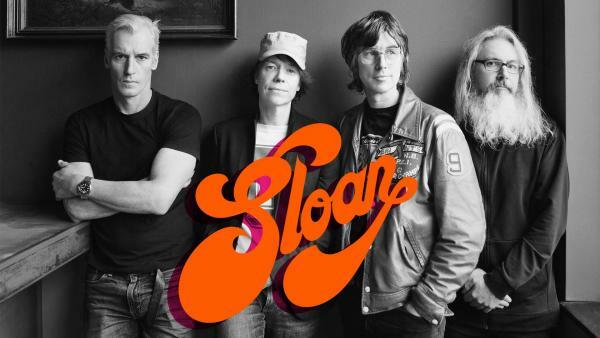 A career spanning close to 30 years, Sloan is one of Canada’s most beloved rock bands. The band formed in Halifax, Nova Scotia and was the centrepiece of the city’s exploding music scene in the early 90s, which led some music journalists to dub the East coast city “Seattle North.” Sloan signed with Geffen, Nirvana’s label, for the release of their first album, Smeared. It was their second record, Twice Removed, that cemented Sloan’s power pop meets British Invasion sound, departing from their shoegaze-influenced debut. After parting with Geffen, Sloan released a slew of well-received albums and established themselves as an integral part to the story of Canadian rock music. The CanCon veterans treated its Montreal fans to two sets, starting the show with new single “Spin Our Wheels.” With 12 records, Sloan can pull from a deep catalogue. Songs from Pretty Together, Parallel Play, and Smeared were played, even one rare B-Side, “Step On It, Jean” from Action Pact. Noticeably absent was 1998’s Navy Blues, which contains one of Sloan’s best-known songs, “Money City Maniacs.” Murphy told the audience that the band will be touring the album next year to celebrate its 20th anniversary. Still, Sloan played most of their material from 12, their twelfth record released last April. A band with four songwriters, Sloan changed instruments twice during their two sets to let drummer Andrew Scott sing the lead on his songs. During Scott’s first time up front, he delivered a rockier rendition of his song “Gone for Good,” thanks to Murphy’s surprising mastery behind the kit. He then went immediately into fan favorite “People of the Sky,” proving to the crowd that Sloan is still as strong as they were back when that song was recorded in 1994. Since Sloan has been around for so long, it’s easy to take them for granted. But that would be a serious mistake and it’s important that listeners take any chance they can to see them live. Here’s looking to 2019 for the Navy Blues Tour. Francella Fiallos is CJLO's Station Manager and host of Superconnected, Monday 11:00 a.m.